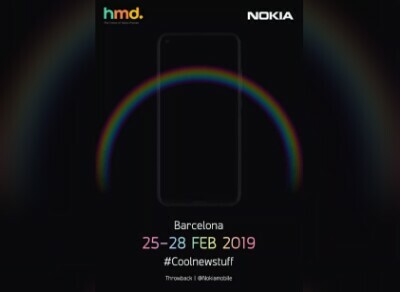 The Nokia brand licensee, HMD Global, has confirmed that it will take part in this year's MWC 2019 and launch several of it's products in the event, while releasing a poster hinting at Nokia 9 PureView as a line up for MWC 2019. Another flagship smartphone that the company has hinted to launch is Nokia 6.2 or the Nokia 8.1 Plus. 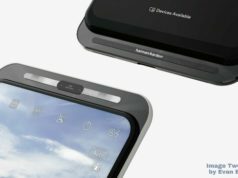 The Nokia 6.2 or the Nokia 8.1 Plus is guessed to be the mysterious smartphone because of the punch hole on the display at the top left corner. After returning from Las Vegas, finishing the giant tech show, CES 2019, the focus of the tech enthusiasts has now turned towards the year’s giant 4 day tech show, Mobile World Congress (MWC) 2019, in Barcelona. We saw a lot of tech beasts getting unveiled in the CES 2019, however, a lot of news are making headlines about tech launches lined up for the MWC 2019. 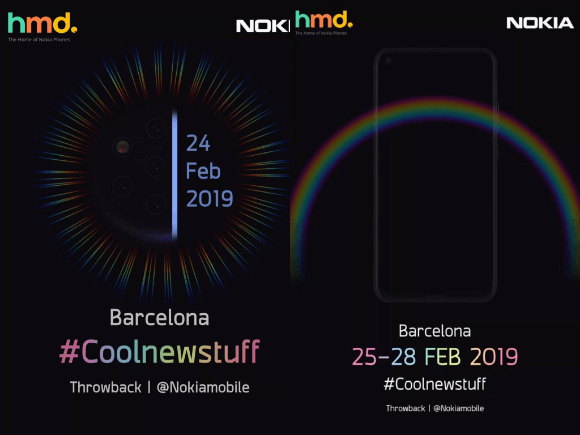 One of the news that we have got our eyes on is the Nokia 9 PureView announcement in the Barcelona’s tech show this year. 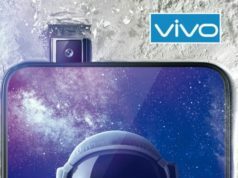 The Nokia brand licensee, HMD Global, has confirmed that it will take part in this year’s MWC 2019 and launch several of it’s products in the event, while releasing a poster hinting at Nokia 9 PureView as a line up for MWC 2019. Another flagship smartphone that the company has hinted to launch is Nokia 6.2 or the Nokia 8.1 Plus. 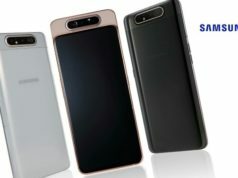 The Nokia 6.2 or the Nokia 8.1 Plus is guessed to be the mysterious smartphone because of the punch hole on the display at the top left corner. A few weeks ago, the tipster OnLeaks had leaked that the Nokia licensee may have a concrete plan to launch the Nokia 6.2 also known as Nokia 6 (2019) with a Hole-in-the-Display for the selfie camera module. However, another tipster leaked that the so called Nokia 6.2 is essentially the Nokia 8.1 Plus. 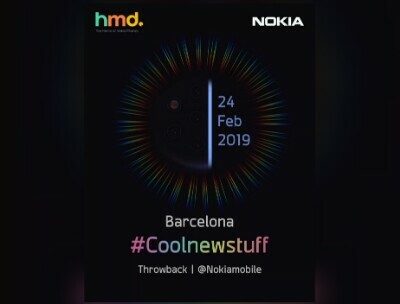 The poster by HMD Global also specify the date 25-28th February 2018 which are the official start and the end dates of the Barcelona staged MWC 2019. 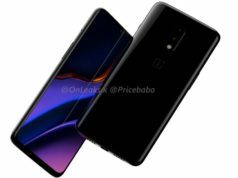 However, as the trend is of some of the brands launching their products right from February 24, the chances are high that these smartphones may start unwrapping for display from February 24 itself. In fact, the CPO of the Finnish company, Juho Sarvikos, has confirmed the launch date February 24 through a tweet. The Nokia 6.2 is reported to sport 6.2-inch display with Snapdragon 632 chipset coupled with 4GB/6GB RAM. 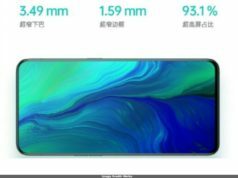 The smartphone is also tipped to sport a 16-megapixel dual lens camera module at the rear backed by the Carl Zeiss branded sensors. The Nokia 9 PureView, on the other hand, is reported to sport a 5.99-inch Quad-HD+ display with Snapdragon 845 chipset under the hood. The RAM is expected to extend to 6GB while the inbuilt storage capacity may limit to 128GB. 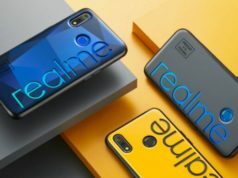 The device is said to be the company’s first phone with the in-display fingerprint scanner. These details, however, did not get a place at the Nokia’s posters and we land up at a stage to contemplate if these details are authentic. As days inch closer to the MWC 2019, we expect few more leaks about the insights of these lined up launches. So, we wait to see more information surface before us to witness and believe. Next articleIs HD Kumaraswamy Planning to Quit Congress-JD(S) Alliance in Karnataka?